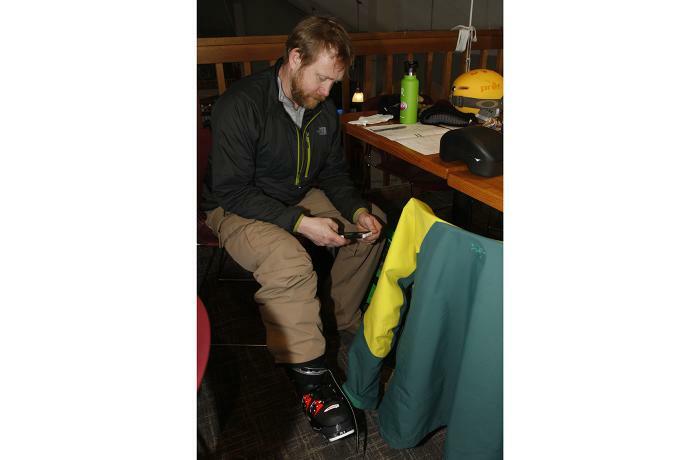 The 2018/2019 Nordica Promachine 130 was tested in the men's All-Mountain narrow category at Silver Mountain Resort by the experts at America's Best Bootfitters, powered by Masterfit. 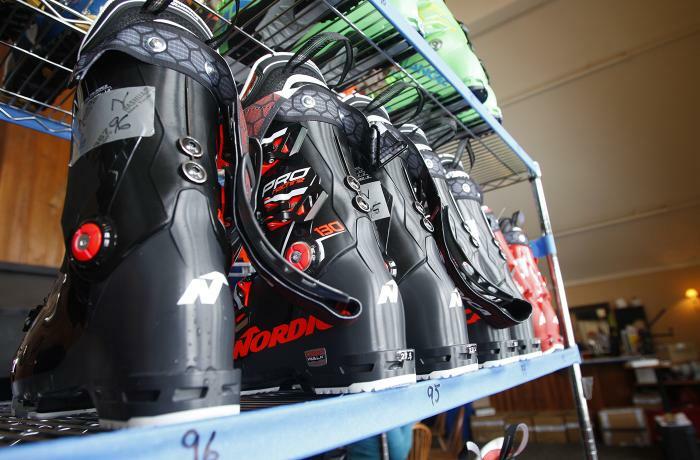 Nordica has had many dominant narrow class boots in the past—Gran Prix, Dobermann, GPX—but none have brought the whole package of power, quickness and comfort together the way the new 2019 Promachine 130 has. Its debut finally completes the light-but-strong Machine clan's Tri Force construction triad for Nordica (along with medium Speedmachine and wide Sportmachine) and it did so for our test team in commanding fashion, taking first place in the highly competitive All-Mountain narrow group. One tester said of the Promachine 130, just trying them on sets high expectations, and that sums up testers' fit impressions pretty well. They were excited to get this one on snow as soon as they buckled up, because they felt that this narrow fit like a narrow should. However, testers were simultaneously shocked that it did so with such well placed curves following the foot that it avoided the usual narrow boot hot spot map. Only testers with high, bony insteps and prominent styloids (base of the 5th metatarsal) had any complaints that would require a bootfitter's assistance. The slimmed down, thin-shell polyurethane shell and cuff gives the Promachine 130 a light feel in hand, but testers assure that there is no resulting deficit in the power department. That it scored an average of 4.86 (out of 5) for Edge Power & Fore-Aft Support after 16 individual tests is a validation of the fact that lightness doesn't only mean quickness—though its scores there bear out that it wasn't a slouch there, either. Testers repeatedly commented that the Promachine 130 had race boot guts, especially on hard snow at high speed, but maintained an easily moderated throttle feel and could feather and smear on demand, a skill which Frontside boots often lack. The Tri Force shell and cuff construction utilizes a mix of thinner and thicker plastics in different stiffnesses to create a rigid, transmissive boot that still wraps the foot and goes on and off easily—good features. 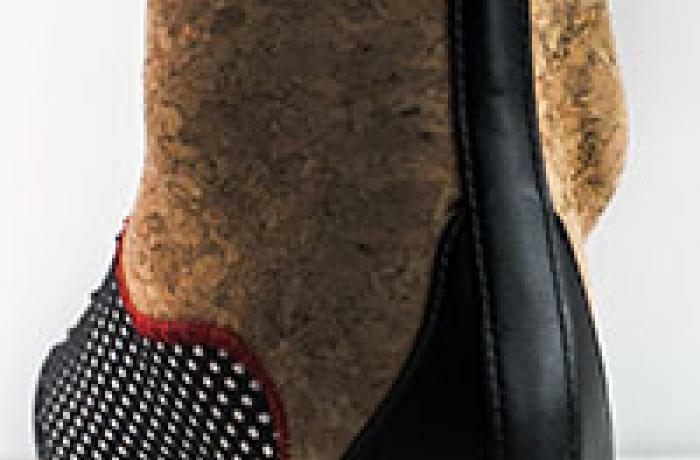 The IsoTherm 3D Cork Fit liner is well sculpted to match the foot and the shell's interior incorporates its namesake wicking laminate to keep this slim boot warm and dry. Testers liked the GripWalk soles which come mounted on the boot, as well as the standard feature stuff you'd expect at this trim level like dual lateral cuff adjustment, dual liner pull loops, 45 mm power strap (with the Power Driver plate) and removable Velcro rear spoiler. Special thanks to all of our sponsors!